The overwhelming approval by California voters of an initiative to end restrictions on bilingual education in its public schools marks another significant shift from the political expressions of racial and ethnic resentments that swirled across the state during the 1990s. Its passage highlights the changes that have occurred in California over the past two decades – the inexorable shift to a multiracial and multiethnic society – along with a realization that multilingualism is a benefit, not a disadvantage, in a world of global communication. With a 72.6 percent yes vote, the passage of Proposition 58 last Tuesday could not have been more definitive. The initiative received majority support in each of the state’s 58 counties. Only two other propositions – out of 17 propositions on the ballot – received a similar unanimous statewide endorsement. The initiative passed easily in every county, ranging from a high of 80 percent in Alameda County to a low of 57 percent in Lassen County. Prop. 58 effectively nullifies Proposition 227, a highly controversial initiative approved by 61 percent of voters in 1998. That initiative prohibited schools from offering bilingual classes unless parents signed a waiver requesting their children be placed in such classes. The 1998 measure was one of a trifecta of initiatives that California voters approved in successive elections in the 1990s that were driven, to different degrees, by unease over aspects of the state’s racial, ethnic and immigrant makeup. The others were Proposition 187 in 1994, which restricted services and benefits to undocumented immigrants, and Proposition 209 in 1996, outlawing affirmative action. Prop. 187 was never implemented after then-Gov. Gray Davis chose not to appeal a lower court ruling that found much of it unconstitutional. After last Tuesday’s election, only the affirmative action ban remains. Lest anyone think that the Prop. 58 vote signaled a lurch to the left by California voters, in 26 counties Donald Trump won the majority vote. Yet all of those counties also voted in favor of restoring bilingual education. Take for example Modoc County in California’s far northeast corner, where 71 percent of voters cast their ballot for Trump, while 59 percent did so for ending the ban on bilingual education. Passage of Prop. 58 was almost certainly aided by the technically accurate but arguably misleading official ballot description drawn up by the state’s Attorney General’s office. The short paragraph on the ballot gave the title of the initiative as “English Proficiency, Multilingual Education” and emphasized that its goal was to increase English proficiency, rather than open the door to more bilingual classes. Unless they read the voter guide, or had researched the issue themselves, some voters may have thought they were voting for an “English only” initiative. A Field Poll conducted with UC Berkeley’s Institute for Governmental Studies before the election showed that majority support for Prop. 58 shifted to opposition when voters were informed that the initiative would repeal Prop. 227. Regardless of voters’ motivations, the end result reinforces California’s decades long shift toward embracing its ethnic and linguistic heterogeneity. The results paralleled earlier polls that show how far California has moved from the discord over immigration in the 1990s. For example, a Public Policy Institute of California poll last year showed that California voters supported by a 73 percent majority giving undocumented immigrants a pathway to citizenship. Even the majority of Republicans – 61 percent – did so. “We’ve seen in our polling that people consistently see immigrants as more of a benefit to the economy than a burden,” pollster Mark Baldassare told the Los Angeles Times. Because of California’s current embrace of immigrants, it is tempting to downplay the harsh anti-immigrant sentiment the state was experiencing at the time voters approved Prop. 227 and related initiatives of the era. They came at the height of a historic transformation of California’s racial and ethnic makeup. In 1970, California’s foreign-born population constituted 8.8 percent of the state’s population. By 1990, it had reached 22 percent, and by 2013 it reached 27 percent – twice the percentage of the nation as a whole. A Los Angeles Times poll in 1993 showed that almost 9 out of 10 Californians ranked illegal immigration as one of the three biggest problems in the state. That year, the Legislature considered 30 bills introduced to restrict services to undocumented immigrants. Now California is moving to create what Kevin Starr, California’s pre-eminent historian, refers to as a “common culture” that could be a model for the nation. Getting beyond battles over language should assist in that process. The issue of bilingual education is an especially complex one that does not fit neatly into pro- or anti-immigrant categories. In fact, 37 percent of Latinos voted in favor of Prop. 227 in 1998, as did just over half of Asian voters. Notably, Jaime Escalante, the famed math teacher who was the star of the movie Stand and Deliver, voted for it. It was true then, as it is today, that many immigrant parents want their children to be taught in English only, so that they will become fluent in English and assimilate more quickly into mainstream society. But as a result of the passage of Prop. 58, what language children will be taught in will no longer be determined at the ballot box, but will be decided in schools and communities. 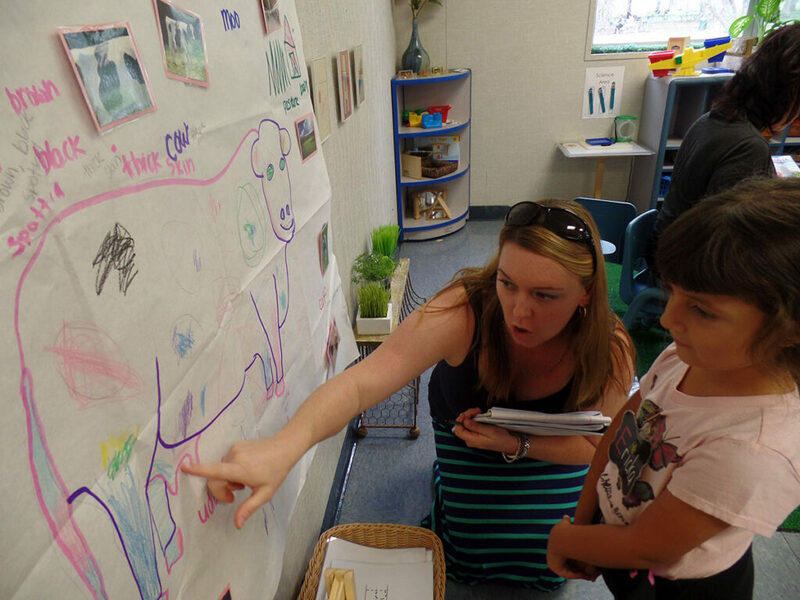 Parents will have the choice to seek out dual immersion programs attended by a mix of native English speakers and children who are native speakers of other languages, or to have their children taught in English. But the decisions will be made at the local level, consistent with Gov. Jerry Brown’s efforts to drive decision-making from Sacramento to local communities. It is possible the anti-immigrant vitriol that was a dominant theme of Donald Trump’s campaign will stir up passions among his supporters in California that will disrupt this process. But for the moment, the English-only battles in California are over. Instead, students have the opportunity to graduate from high school with a “Seal of Biliteracy” affixed to their diploma indicating their proficiency in two languages, and the chance to be better prepared for the battles they will face in a competitive global workforce. Correction: This article was updated on Nov. 15 to provide the correct figure for the percentage of Latinos who voted for Proposition 227. It was 37 percent. 227 was about promoting “teaching English in English.” As such, it was nothing else than a “kinder and gentler” nativist prescription of old: you are in the USofA and will learn English not what your parents spoke in their home country. Sure, people like those who commented here claimed they had the interests of the immigrant at heart. But they over-reached: an op-ed was published in the LA Times right after 227 passed calling for a closing of all radio and TV stations that broadcast in Spanish using the same arguments they used for 227. This, of course, went nowhere because it threatened very powerful economic interests. Supporters of 227 claimed that there would be no more English learners after 10 years of its passing. They also claimed that the state would teach English to all the adult immigrants that needed to learn it. Did any of this happen? No, because once they managed to get what they really wanted, the official banning of bilingual education, they lost interest on its aftermath as far as I can tell. Dual language programs in various languages, however, have been increasing across the state. Also, the state as a whole has realized the advantage of having a second language in this new age of globalization. Both movements are what doomed the true spirit of 227. They just simply can’t admit they were wrong from the beginning. Another indicator of how misleading Proposition 58, it’s state-approved presentation, and this article are is the Correction at the end. It points out that Hispanic voters – those with a serious vested interest – approved Prop 58 at a level almost 10% higher than the general population. In spite of its presentation, some people knew what they were voting to approve. You are completely wrong about this abomination. The only reason that Prop 227 failed to realize its full potential was the widespread failure to follow it. The issue has nothing to do with welcoming immigrants; in fact, the exact opposite. It was about improving their opportunity for upward mobility through education where competent, academic- level, English is essential. You have dismissed the realization that a majority of immigrants and first-generation low socioeconomic Spanish-speaking parents WANT that for their children, not Spanish-first “Bilingual Education” gradually transitioning tto English without ever getting there all the way to my university, Cal State LA. I had expected better from EdSource. Far from being “English only,” Prop. 227 made English instruction possible by replacing a deceptively named “bilingual system” that was Spanish only for native Spanish speakers, with no English academic instruction allowed (even during ESL), a situation typically lasting from K into middle-school and often into high school. Fact check: LAUSD’s pre-227 Bilingual Master Plan. EdSource, you’ve been had. As for the 72.6% passage, it’s clear that most people didn’t know what they were voting for.